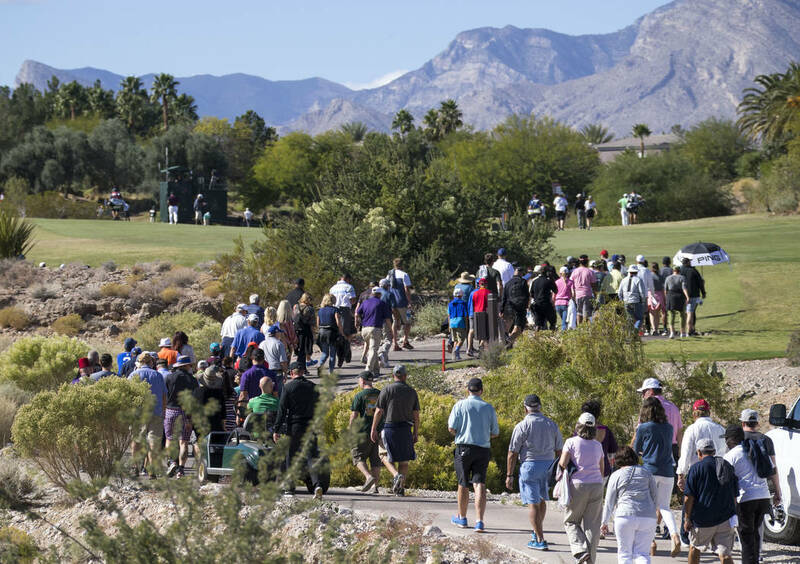 “You know what, I’m lucky that the Shriners Hospital and PGA Tour gave me the platform to help donate and help people here in the city of Las Vegas,” La Vegan Charley Hoffman said. 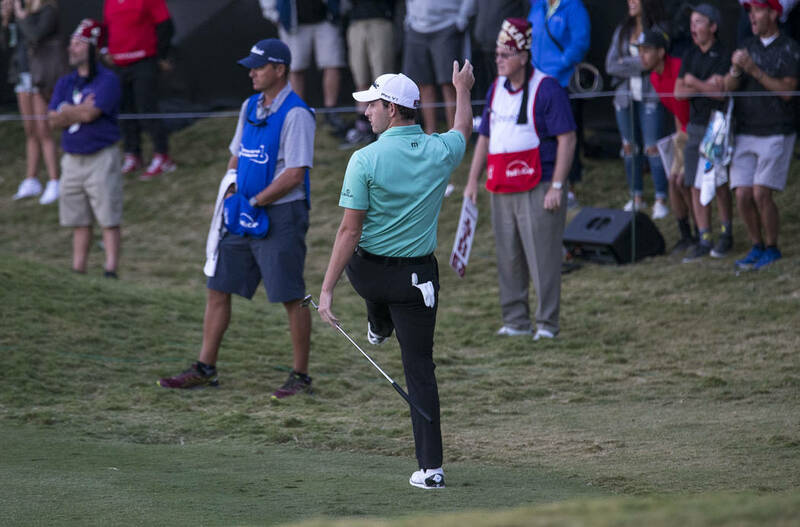 When tournament director Patrick Lindsey looks back on last week’s Shriner Hospitals for Children Open, the first thing that comes to mind is how former UNLV golfer and shooting survivor A.J. McInerney thrilled the crowds. Throw in a three-way playoff, the “Vegas Strong” vibe and Charley Hoffman’s memorable footwear and you have a tournament that will be hard to top next year. The Nov. 1-4 tournament will be the start of a three-year contract between the PGA Tour and Shriners. Lindsey said last week’s attendance numbers are not finalized, but he expects it to be an increase from 2016. The mood was inspirational and cheerful — how PGA Tour star Bubba Watson described it — as the victims and survivors of the Oct. 1 shooting were remembered. 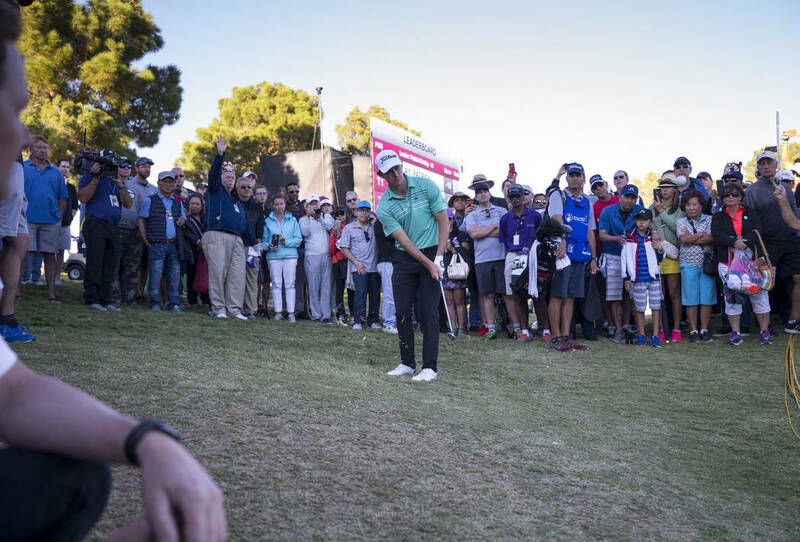 Players and fans wore Vegas Strong shirts, hats and buttons, and in Charley Hoffman’s case, Footjoy shoes, which he auctioned off for charity to benefit the PGA Tour’s Direct Impact Fund. Hoffman liked the shoes so much he submitted the highest bid of $3,500 and also donated his Shriners earnings of $98,600 to the fund. On the course, never before in the 35-year history of Las Vegas’ PGA Tour event had a champion not finished double-digits under par. 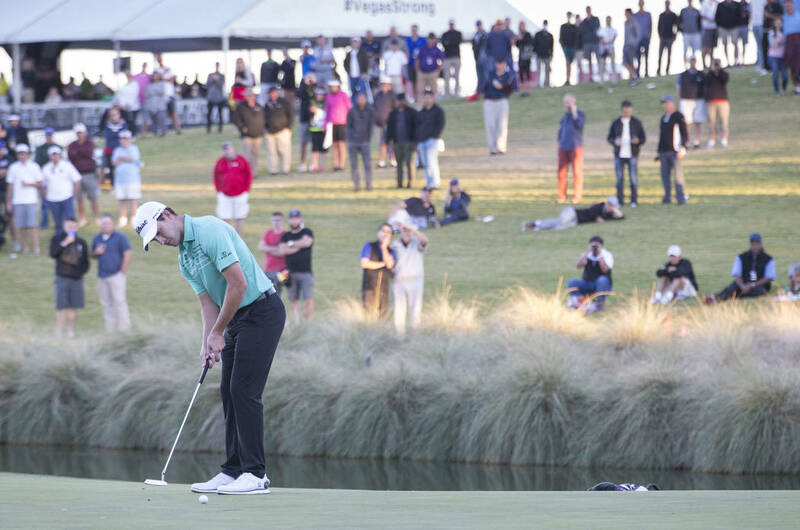 Champion Patrick Cantlay ended regulation play at 9-under 275 and tied with first-round leader Whee Kim and Las Vegas resident Alex Cejka, who took advantage of calm conditions early Sunday to shoot an 8-under 63 and skyrocket 27 spots up the leaderboard during the final round. 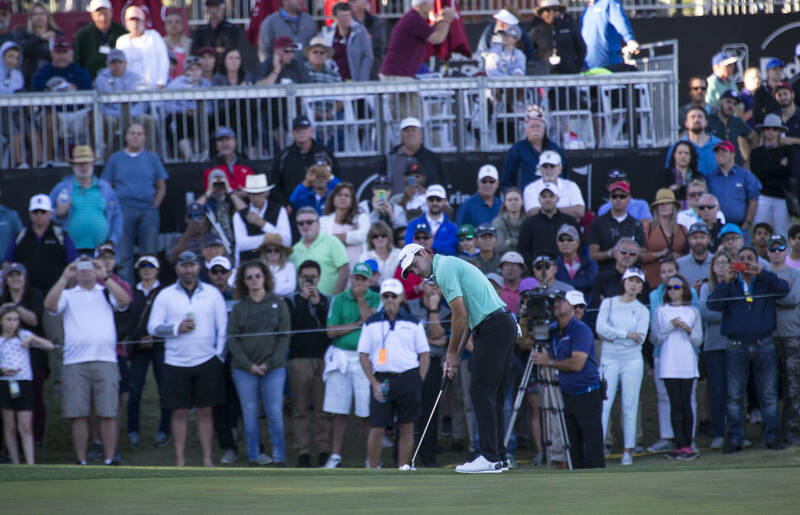 Wind gusts up to 30 mph wreaked havoc throughout the tournament, but never more so than down the stretch Sunday when players near the lead were making bogeys to lose like leaders in previous years made birdies, eagles or holes-in-one to win. Cantlay and Kim both bogeyed No. 18 in regulation to fall into a tie with Cejka, but J.J. Spaun struggled even more and made double bogey on No. 17 and No. 18. He plummeted from the lead at 10-under with two holes to play to a tie for 10th place at 6-under 278. Cantlay, Cejka and Kim each bogeyed No. 18 on the first playoff off before Cantlay won with a par on the second playoff hole, also the 18th. “It was brutally tough,” Kim said of the final hole, which played into the wind and setting sun late in Sunday’s round and during the playoff. The finish topped a memorable week of golf at TPC Summerlin. Freelance writer Brian Hurlburt is a two-time author who has covered golf in Las Vegas for more than two decades. He can be reached at bhurlburt5@gmail.com or @LVGolfInsider.